This week we are looking at the theme of Under the Sea. We took a trip to the aquarium and have been busy working on some crafting and painting projects. We’ve been able to talk about different fish and species that live under the sea. 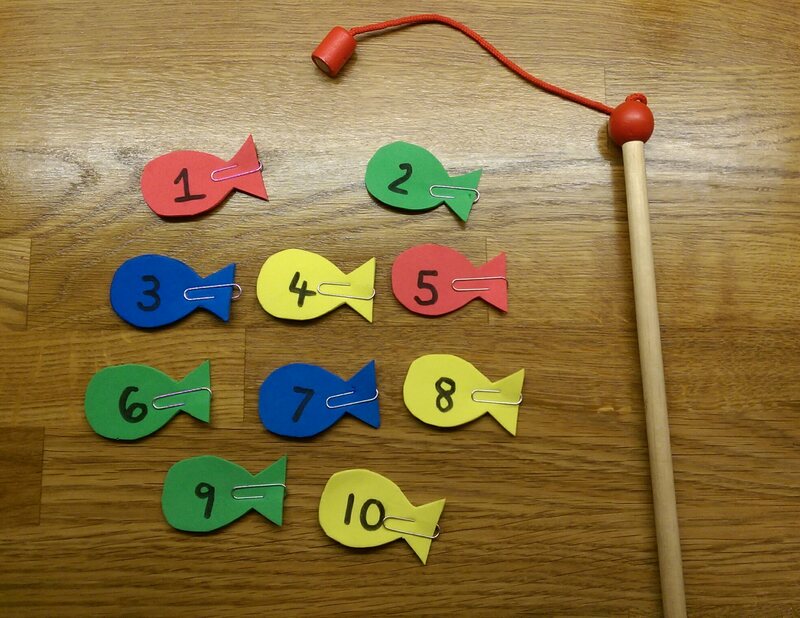 However we wanted to include a learning opportunity for numeracy which is why we made this fishing game. All you need is some foam or cardboard, scissors, marker pen, paper clips and a magnetic fishing rod. We were lucky enough to have a fishing type puzzle. However you could easily make a rod with a chopstick or similar and a magnet. The children have enjoyed fishing for numbers, we started by taking it in turns and looking at the numbers, but you could do simple adding and subtracting with older children. You can also make a board to make it into more of a game, where you have to collect one of each number. We only did 1-10 originally to focus on with our younger charges. However you could easily add many more numbers to the fish. We have also been working on ordering numbers, placing the fish in order and also counting backwards. Just another little way to make learning fun. We’re all for making maths (and learning in general fun, and this is one of the many ways in which you can do so). Enjoy!